When Columbus arrived in the Bahamas in 1492, and when Giovanni Caboto (John Cabot in English) landed on the mainland of North America in 1497, they arrived in a vast land, but also in an equally vast and varied cultural landscape that had been evolving for ten millennia. The earliest verified archaeological evidence of the settlement of North America comes from two distinct sites, one in Pennsylvania and one in Chile. Meadowcroft Rockshelter, a 35-mile drive southwest of Pittsburgh, was used continuously for centuries but was abandoned by Indians around the time of the Revolutionary War. An amateur archaeologist, Albert Miller, first discovered artifacts in a groundhog burrow there in the 1950s, but it wasn’t until the 1970s that the site was properly excavated by a team from the University of Pittsburgh. What they found was an unbroken record of human habitation that may stretch back 19,000 years. Tools, bones, campsites, and personal effects were recovered. The presence of 149 species of animals was established, along with evidence of early farming of squash, corn, and beans. The Monte Verde site in Chile, also excavated in the 1970s, is a rare find: a relatively complete village that was inundated by rising water in a peat bog shortly after it was inhabited and therefore was held in a kind of anaerobic amber. Like the Meadowcroft site, Monte Verde has been dated to as many as 19,000 years ago. Together the sites are important and do more than help us understand how and when North America was settled; they also show that there were people in North America well before the Bering land bridge formed about 10,000 years ago, throwing into dispute the theory that North America was settled primarily by Asiatic wanderers over the bridge. Indian stories about our own origins almost all claim we came into being in our native lands. The questions archaeology is struggling to explain—When and how was North America settled? Did the first people come across the land bridge 10,000 years ago? Or on earlier land bridges formed 30,000 years ago before sea levels rose once again? From Asia by boat earlier? From northern Europe? All of the above? Were there in fact multiple origins of the human species?—are rapidly being answered by ongoing genetic research. This research suggests that prehistoric Indians share a lot of DNA with Asian populations and, surprisingly, with European populations as well. It is quite likely that Europeans migrated into far eastern Asia and mingled with the populations there and that their descendants crossed over to the New World between 30,000 and 20,000 years ago. But this is all the science of migration, not the history of peoples. Most Indians do not see themselves as merely the first in a long series of arrivals to North America; they see themselves as indigenous. And the belief in tribal indigeneity is crucial to understanding modern Indian realities. The rhetorical stance that Indians are merely one group of travelers with no greater stake than any other clashes with Indians’ cultural understanding that we have always been here and that our control over our place in this world—not to mention our control over the narrative and history of that place—has been deeply and unjustly eroded. 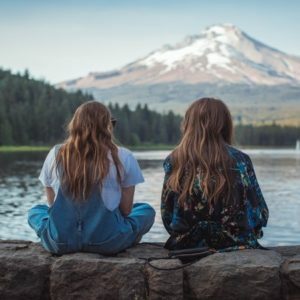 Despite the variety of tribal belief (or perhaps in part because of it), North America is uniformly seen as an Indian homeland that has shaped and been shaped by the Indians living there then and living there now. Over these homelands various empires and nation-states—Spanish, British, French, Dutch, and, later, American—have crawled, mapping and claiming as they went. But neither these maps nor the conquests enabled by them have eradicated or obscured the fact that immigrants made their homes and villages and towns and cities on top of Indian homelands. Any history that persists in using the old model of New World history as something made by white people and done to Indian people, therefore, is not a real history of this place. Rather, as the historian Colin Calloway has suggested, history didn’t come to the New World with Cabot or Columbus; they—and those who followed—brought European history to the unfolding histories already here. Science tells us only that the humans of the New World arrived a long time ago, and likely in many different ways. Culture and history tell us something more profound: that New World tribal people emerged here, as cultures and as people. No one else can make that claim. Columbus and Cabot and the rest didn’t discover the New World or new peoples. They met Indian people with distinct histories, homelands and technologies, and deep—and deeply considered—concepts of themselves and their place in the world. Culture and history tell us something more profound: that New World tribal people emerged here, as cultures and as people. When Europeans first arrived on the Atlantic coast, they landed on a richly settled and incredibly fecund homeland to hundreds of tribes. When prehistoric first Indians emerged in what is now the eastern United States, the water levels were considerably lower than they are now, because much of the world’s water was trapped in glaciers that spread across a large part of the Northern Hemisphere. Because of this, coastal archaeology has uncovered only a very fractured record of habitation. Even so, 5,000-year-old shell middens in Florida and North Carolina suggest vibrant coastal cultures in this region. In Virginia alone there are thousands of known prehistoric village sites. How these early tribes were organized or how they understood themselves is hard to know. What made for a relatively easy life—abundant rivers, streams, and springs, plentiful fuel, fairly constant aquatic and terrestrial food sources, and a relatively mild climate—makes for bad archaeology. It seems that, in this early period, coastal Indians lived in small villages of about 150 people and that they were fairly mobile, spending part of the year on the coast, part farther inland, and getting most of their calories from fish and game and opportunistic harvests of nuts and berries. Populations seem to have risen and shrunk like the tide, depending on the availability of calories. Archaeological evidence suggests that between 2500 and 2000 BCE, tribal groups began making clay pots, which indicate a more sedentary lifestyle, the need for storage (which in turn suggests that there were food surpluses), and a greater reliance on plants for sustenance. A bit later eastern coastal and woodland Indians were planting or cultivating sunflowers, lamb’s-quarter, gourds, goosefoot, knotweed, and Jerusalem artichokes. But this was not the Garden of Eden. Some villages seem to have been fortified by wooden palisades. Tribes did fight and kill one another and, as groups do, sought for themselves what others had. When Ponce de León arrived in Florida in 1513, with explicit permission from the Spanish crown to explore and settle the region, Indians had been living there for at least 12,000 years. Because of the lower water levels, during prehistoric times Florida’s land mass was double what it is today, so much of the archaeological evidence is under the sea. It was also much drier and supported megafauna such as bison and mastodon. As megafauna died out (climate change, hunting), the fruits of the sea in turn supported very large Archaic and Paleolithic societies. Agriculture was late in coming to Florida, appearing only around 700 BCE, and some noncoastal Florida tribes still had no forms of agriculture at the time of Spanish conquest. Presumably the rich fresh and brackish water ecosystems were more than enough to support a lot of different peoples. What the Spanish encountered beginning in 1513 was a vast, heterogeneous collection of tribes, among them the Ais, Alafay, Amacano, Apalachee, Bomto, Calusa, Chatot, Chine, Guale, Jororo, Luca, Mayaca, Mayaimi, Mocoso, Pacara, Pensacola, Pohoy, Surruque, Tequesta, Timicua, and Viscayno, to name but a few. Within a matter of years, all of these tribes, having evolved over many centuries, would decline, and in a hurry. Spanish colonization was a schizophrenic enterprise, driven first by the search for treasure, then in a quest for slaves, and later taking on a missionary cast. The desire to find a more direct route to the Orient was constant, but to it was added the need to hold territory as a buffer against British and French interests. The Indian response to the Spanish was determined to a great extent by three constants of first contact: the spread of disease, attempts at slavery, and the spread of information. In all likelihood Ponce de León was not the first Spaniard to reach La Florida (the land of flowers), because the Indians he met on his first voyage already knew some Spanish words and were already deeply distrustful of Spaniards; likely, Spanish from the Caribbean had been there first. Other explorers followed. Pedro de Salazar traveled the Atlantic coast, capturing upward of 500 slaves and sowing smallpox and measles wherever he went. So it was no wonder that almost every attempt at exploration and colonization—Pedro de Quejo and Francisco Gordillo in 1521, Pánfilo de Narváez in 1527, Hernando de Soto in 1539—was harassed and attacked and impeded by the tribes it encountered. After the Spanish finally succeeded in establishing missions in Florida and Georgia in the 16th century, Indians were conscripted and enslaved and forced to live in deplorable conditions in service to the crown and the cross, which only hastened the work of disease. And when the Spanish were attacked from the north by British forces, the enslaved Indians were even more vulnerable than their well-fed and well-rested overlords. What transpired in Florida would be repeated (with variations) over much of the Indian homeland of North America: disease, slavery, starvation, and disruption. Previously distinct cultures and peoples were mixed together; remnants of once vast tribes banded together and formed new tribal identities. This happened in what would become the states of Florida, Georgia, South and North Carolina, Kentucky, and Tennessee, in Spanish and British territory. By the time the British and Spanish lost out to the newly minted Americans, what had once been the homeland of hundreds of distinct tribes was now in the control of a few amalgamated (polymerized, in the words of historian Jack Page) tribes such as the Seminole, Creek, Muskogee, Chickasaw, and Cherokee. The colonization of North America is often seen as a binary struggle, a series of conflicts between Indians and settlers. But in the face of disease, starvation, and displacement, conflict occurred along multiple vectors. Tribes allied with other tribes against yet other tribes; colonial powers made alliances with certain tribes against other tribes and against other colonial powers. Later, elements of the federal government (John Marshall’s Supreme Court) allied with tribes against states (like Georgia), and other parts of the government (Andrew Jackson’s executive branch) allied with states against tribes. Some tribes committed genocide against their neighbors. But while the conflict or conflicts in the Southeast weren’t necessarily linear and certainly weren’t binary, the trajectory was more or less clear: tribes were diminished through disease and warfare. Two moments stand out in the sordid history of the American Southeast—removal and the Seminole Wars. Debt, dependency, threats, and force, in that order, was the thinking of the day. In place of the Hatteras, Koroa, Chiaha, Biloxi, and countless others, a few polymerized “supertribes” had arisen in the Southeast: the Chickasaw, Choctaw, Muskogee, Creek, Cherokee, Yamasee, Catawba, Miccosukee, and Seminole. Thomas Jefferson saw the remaining southeastern tribes as impediments to the cultivation of the American nation and American character. He wrote that it was important “to encourage them to abandon hunting, to apply to the raising [of] stock, to agriculture and domestic manufactures, and thereby prove to themselves that less land and labor will maintain them in this, better than in their former mode of living.” The problem was that the Indians were already doing just that. By the beginning of the eighteenth century, eastern tribes were all predominantly agricultural anyway: they grew yams, beans, corn, and squash, and more intensively so after the trade in buckskin brought the white-tail deer to near extinction east of the Mississippi. Many of them had had small villages and settlements where they farmed intensively, and effectively. They had seats of government and centers of power. To promote this disposition to exchange lands which they have to spare and we want for necessaries, which we have to spare and they want, we shall push our trading houses, and be glad to see the good and influential individuals among them run in debt, because we observe that when these debts get beyond what the individuals can pay, they become willing to lop them off by a cession of lands. In this way our settlements will gradually circumscribe and approach the Indians, and they will in time either incorporate with us as citizens of the United States, or remove beyond the Missisipi [sic]. The former is certainly the termination of their history most happy for themselves. But in the whole course of this, it is essential to cultivate their love. As to their fear, we presume that our strength and their weakness is now so visible that they must see we have only to shut our hand to crush them, and that all our liberalities to them proceed from motives of pure humanity only. Should any tribe be foolhardy enough to take up the hatchet at any time, the seizing of the whole country of that tribe, and driving them across the Missisipi as the only condition of peace, would be an example to others, and a furtherance of our final consolidation. Debt, dependency, threats, and force, in that order, was the thinking of the day. These secret memos were written while Jefferson served as president of the United States. Jefferson wasn’t able to achieve any of these outcomes during his tenure; the republic would have to wait until Andrew Jackson took office in 1829. By this point, the eastern Cherokee had consolidated power and launched a new governmental structure based on a balance of power and a judiciary. They published a bilingual newspaper and formally declared New Echota (near what is today Calhoun, Georgia) as the capital of the Cherokee Nation. But Jackson had spent his military years fighting Indians and the British, as well as speculating in real estate (often out of the spoils of war), and he regarded such claims as ridiculous. Earlier, in 1802, Georgia had agreed to give up claims to land in what would become Alabama and Mississippi if the federal government would remove or reduce the Indians in Georgia. Basically, Georgia would give up land outside the state in order to secure more land within its borders. Invoking not only the tribes’ long control over their land but also the treaties, alliances, and decrees that had been written into the Constitution, which also stipulated that only the federal government had the ability to negotiate and treat with tribes, Cherokee chief John Ross brought his people’s case to the Supreme Court. In a series of rulings known as the Marshall Trilogy, the court affirmed the rights of the Cherokee and ruled the removal of Indians unlawful. Andrew Jackson did it anyway. Between 1830 and 1850 more than 125,000 Indians of the Southeast were forcibly removed to territory west of the Mississippi, mostly on foot and in wintertime. At least 3,500 Creek and 5,000 Cherokee and many from other tribes died along the way. Many more died of starvation when they reached their new lands. 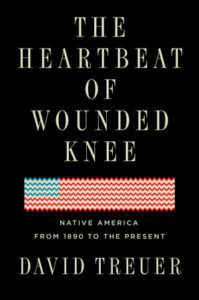 From The Heartbeat of Wounded Knee: Native America from 1890 to the Present. Used with permission of Riverhead Books. Copyright © 2019 by David Treuer.